On May 11th I have the final custody hearing for my children. My ex-Japanese wife has interim custody as I work. In over 3 years of custody struggle I have presented 58 offers of peace and sharing. All have been rejected by her and her Japanese boyfriend. 17 times this year she has blocked access in violation of the Court Order. The Police are not interested.The Courts are so busy it is near impossible to get time with a Judge. I have no money and am representing myself. Custody has been given to the father because the mother refused to share and abide by Orders of the Court. Where do you live? A father in Hawke’s Bay posted a similar request recently. I am a kiwi living in Vanuatu. The Court system here is based on and follows the NZ system. Do you have any knowledge of any Court Cases where a father has won custody after the mother has shown to be in constant violation of Court custody orders please? Are you able to reference that statement thank you? The decision is online, there is a link somewhere on Menz, but you should be able to find it with a few Google searches. Family Courts borrow cases worldwide. 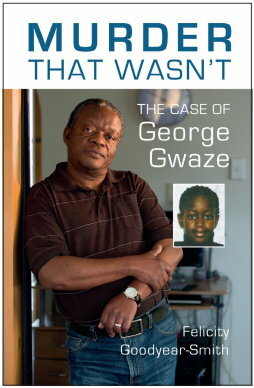 I’ve seen cases from Zimbabwe, referenced in New Zealand. You might like to look at Argentina (I think) but definitely a South American country that made parental alienation a crime. Do you know of the parties in the case you refer to in point 3 thank you. Have been advised to only use Commonwealth Law country cases. There was a recent Commonwealth agreement to change to equality on the throne. That might help your case. Precedents have more impact in criminal and general civil cases, where the public are readily admitted into the public area. In familycaught$, it is fairly common for the mother to choose to exclude the public, by making an accusation of violence or dark looks. This even works, when the father lives 3000 km away, separated by sea!!!! I suspect that it works even over distances measured in light centuries? So, don’t take them too seriously – you would only harm yourself. In my opinion, the best notes about self representation, are those from Jim Bagnall’s seminar on self representation 2004. When noone can watch, precedents have very little residual influence, in practice. One of the presenters said that how you behave is a form of evidence. I would agree strongly, more strongly than the original comment was made. Although pretty good and practical, those notes don’t really cover how to effectively protect yourself from the lawyers and familycaught$. This is a subtle exercise, in minimising your risk exposure to them. I have never seen that process described in print. I have heard a few fathers describe their approach. It is based on pragmatism, realistic knowledge and expectations about familycaught$, protecting yourself when you are left unable to protect your children and knowing what all of their tricks are. Men’s Centre North Shore was good, as people who did attend fairly often, had a good chance to hear several of these more successful stories and assimilate their subtleties. The simplest of these ideas, is given in the self representation notes. Really, it would be much better to have a familycaught$ that was willing to be a referee with hearing, integrity and common sense and protect all parties to the extent that they were/are vulnerable. It is possible and fairly easy to do…. What we found in UOF days more important than precedent was specific evidence, structure of affidavits, things best left out. One thing for example was colour photos of children with their father. Because families are so individual and different, when you’re representing yourself you are better to build your own unique case. This is where you have a considerable advantage of lying mothers and legal idiots. Paul, please accept this advice from my direct experience. 1. This system is specifically designed to ensure that you as the “father” will not be permitted to have quality time with your child – no matter how much money and time you spend trying to do the right thing. 2. A child deliberately deprived of time with their dad becomes vulnerable later in life, and will have missed the balance offered by having quality contact with BOTH parents. – again you are deliberately deprived of time with your child by this current system. A communist tactic. 3. I tried on every level to do the right thing by my child – only to be confronted by a system which will not on any level – help you. 4. I too had court orders to see my child, breached with impunity – and which were not enforced by the police, cyfs or the courts. So they are NOT worth the paper they are written on. 5. Parental Alienation and the permitting of Provocation between parents to enflame conflict is encouraged by the current system because there is NO consequence or deterrent currently to those in our justice system – administering this crime on humanity. 6. As we have seen discussed recently with the flag debate, our most fundamental rights are at stake here – rights which relate to human beings – common law, the law of the land dating right back to the Magna Carta of 1215. Had our flag changed – these Common law – Natural law rights for Human beings of the land – would have been extinguished. 7. Our secret family courts and the child support system do not currently support or accept the law of the land – common law rights for human beings- for they are working under Admiralty law – these laws date back to the Scrolls of Oleron – the Black book of the Admiralty – rule of the world by INTERNATIONAL LAW. Look up Travers Twiss who wrote many books on international law – which is exactly what UN charter Article 13 states – as it requires the progressive development of international law and its codification to control the planet. 8. I have seen first hand how multiple breaches of rights to due process are permitted during child support reviews, the cherry picking of evidence while ignoring facts to support unjust and excessive demands from parents – which also increases the penalty debt industry, a form of financial control and enslavement of human beings of the land. Exactly the same as the student debt scam – where students are hammered with Penalty INTEREST DEBT which is excessive. 9. Our NZ ombudsman refuses to investigate direct concerns – supported with evidence and admissions – of child support breaching all rights to due process, natural law – common law, during admin reviews on multiple occasions. It is my contention the can do this because they are not bound by COMMON LAW – NATURAL LAW requirements. 10. They refuse to acknowledge the harm caused by parental alienation to child and parent – which directly impacted on my income earning ability – adding insult to this by refusing to formally record facts as to my two naturally born dependent children to my wife of 14 years. This is the corruption which currently infects our democracy. 11. Fairness and trust go hand in hand in a justice system – there can be no trust if the systems are we have are so demonstrably UNFAIR on so many levels. Until that changes we have no rights to anything – and soon more will be taken away – under admiralty law which they use to justify what is happening – a form of legal piracy – which does not recognise Human Rights – natural law – common law for human beings on the LAND. Maori have worked this out and are rightly protesting this crime on humanity. Ministry of Social Development will surveil your home and family. There will be attempts to entrap you on a criminal offence to destroy your integrity and character and most of all your CREDIBILITY. Character assassination will commence on multiple levels to try and again force people to distance themselves from you, again destroying your credibility and reputation. You will be forced to undergo psychiatric testing – to evaluate your mental health – we have now had 3 invasive home visits and psychologist interviews and every time we have been cleared – proven to be a good healthy family with sound values, with clear rational thinking in a secure and safe environment for our two children…….but still we are oppressed and not helped on any level by this corrupted system. These are the tactics of this criminal system currently being rolled out, as CULTURE is forcibly changed ( immigration ) within society and within our justice system……I have seen first hand how the police CULTURE has been manipulated to one of targeting people for victimless crimes and revenue ( Debt enslavement ) – police who will later also be used to take your property and your kids if you resist – as opposed to what we had in the not too distant past – where our police were peace officers, protecting life and property and preserving the peace……..that is the fundamental change which we are living through. Speak up, do something to change this, because if we do not – our children will grow up in a totalitarian world where they have NO HUMAN – Natural Person – RIGHTS at all. If we are in a NZ police system, they should investigate any breach, period. Parental AliÃ© nation undermines the core principles of both the Universal Declaration of Human Rights and the United Nations Convention on the Rights of the Child. Parental Alienation is a recognised form of CHILD ABUSE. Our Common law, natural law rights are at stake here as they have been ignored in NZ – Demand Natural LAW for ALL PARENTS moving forward. Use these UN Conventions to seek justice in NZ……demand our Justice System adheres to these conventions which they have signed up to….while also never relinquishing our Natural common law rights as were “promised” by the Bill of Rights and the Magna Carta under the Treaty. UN CONVENTIONS ON RIGHTS TO CHILD. UN CONVENTION ON HUMAN RIGHTS. The time is now to raise these concerns with the United Nations and ask why NZ justice is ignoring these conventions across the board……..you will note articles in here which relate directly to a CHILD’S RIGHTS TO SEE BOTH PARENTS and to NOT BE DEPRIVED OF THAT TIME. Stewart v Stewart (Family Court, Upper Hutt, 27 November 1991, FP 078/135/87, Judge Keane) custody was awarded to the father because of the mother’s instability and negative attitude to access. Jones v Poulter (Family Court, Marton, 9 March 1990, FP 034/001/90): a reversal of custody was made by Judge Inglis QC where there were grave doubts about the mother’s capacity to make responsible decisions. I’m living in the US and my kids are with their Kiwi mother in NZ. While their mom allows me access when I can visit in NZ, she is refusing to follow a court order and bring them over to the US every second Christmas. Says she can’t travel that far with young kids and that she can’t afford it. What can I do, will the Family Court do anything? hi pritchards – if you have a nz parenting order, you can apply for an enforcement order, I hope you have evidence that you’ve tried hard to make it easy on her, is there a money issue? how old are the children? I am asked at times, to provide information to the media (this time NZHerald). When there is a bit of time available, I can collect information (and people) from here. Do you have some feedback to give about the new mediation system in the Family Court? Have you been through it or are going through it? Is it going well or terrible? What is your experience as a group leader or individual? In my experience, the courts make threats to do this but then always search for excuses not to do so. Not for a mother who refuses to abide by court orders. However they MIGHT do this if they were convinced that the child would ENTIRELY lose their relationship with their father if they remain in the custody of the mother. There was a case many many years ago like this. Unfortunately I expect this is therefore a foregone conclusion. They see you as the walking wallet and the mother as the “primary parent”. I would say you would have to demonstrate that the child simply would not have a relationship at all with the father if the child stays in the custody of the mother. Whereas the child would have a relationship with both parents if the child is in the custody of the father. Also Japan is not a signature to the Hague Convention last time I checked so if the child is taken to Japan that will be the last you see of them. In reality this could well be the case in the long term. If so, you may as well leap forward and present those stark options to the court. WHAT IF IT WAS THE FATHER???? Justice Paul Heath said he tried to frame his sentencing notes in a way “which will enable them to be accessible to a wider community to whom it is important to explain why I have imposed a sentence of this type for such serious crimes”. For the three children, the evening was like any other. About 7.30pm, the New Plymouth mother told the elder children it was time for bed. In their shared room, they chatted about an upcoming holiday, she read them a story, and then said goodnight. She returned to the living room to put on a DVD to watch with her youngest, then just a few months old. As they sat watching together, the mother decided to go through with her plan. It was important to the mother her children were killed painlessly, efficiently, and without a lot of mess. It was the evening of Tuesday, July 28, 2015. She would use carbon monoxide, she decided, after research online. Leaving her youngest in front of the screen, she went to get a knife from the kitchen. Using the knife, she cut a vacuum cleaner hose into two lengths, and fitted the pipes in a way that would allow carbon monoxide from the car to enter the bedroom. Justice Paul Heath, who presided over the case when it reached the courts, said she took “deliberate steps” to turn off the house alarm system, so any fumes would not activate the smoke alarms. Next, she prepared the scene for discovery: she wrote a suicide note, and cut up some flowers which she spread throughout the house. She returned to collect the baby, who she put to bed in the room with the other children. Her former husband called to check in. She told him all was well. She put down the phone, and started the car. She entered the room where her children where sleeping. Her intention was that all four of them would be poisoned within 15 to 20 minutes. But while in the room, she had second thoughts. Panicked, she called for an ambulance, saying she had tried to kill her children. The person on the other end of the line instructed her to turn off the vehicle, and remove her children from the room. It didn’t take long for emergency services to arrive, but by the time they got to hospital the youngest child was unconscious. However, all three survived, as did their mother. The mother – who has been granted permanent name suppression to protect her and her children – pleaded guilty to three charges of attempted murder. The story you’ve just read is incredibly harrowing, as Justice Heath noted. But he also said he wanted these details to be published so the public could understand why he imposed “a merciful sentence for one of the gravest of crimes”. While the charges carry a maximum sentence of 14 years’ imprisonment, Justice Heath in the High Court in New Plymouth on Friday, April 29, sentenced her to two years’ intensive supervision. His sentiment echos that often expressed in cases of infanticide: a charge available to women who can show their minds have been temporarily “disturbed” by the stress of childbirth or breastfeeding, with a maximum penalty of three years’ imprisonment. Her psychiatrist reported she had a long history of intermittent depressed mood, stemming from abuse she suffered as a child. The recent stresses of giving birth to her third child, marriage difficulties, and fearing loss of custody, meant she was particularly vulnerable to relapse. Her thinking was delusional but – given the effect of her severe mental illness – “to some extent that is understandable”. Forensic psychiatrist Dr Susan Hatters-Friedman has done extensive research on mothers who kill their children, and says the most common reason for a child’s death is fatal maltreatment. “It’s important to keep in mind, so people aren’t put off seeking help, it’s not normally a mental health issue when someone is violent towards their children,” Hatters-Friedman says. When it is, the motive is likely to be “altruistic”. As the mother in question stood in court, Justice Heath told her she needs “help, not punishment”. Although the victims were her children, there was no point putting her behind bars. “Indeed, it is much more desirable that a sentence be crafted to enable you to better manage the psychiatric disorder under which you labour,” Justice Heath said. Waikato University senior lecturer of law Brenda Midson is researching the distinction between murder and manslaughter, and the different degrees of moral blameworthiness. She says this case is likely to act as a precedent to guide future decisions, in that it acknowledges “the offender is low on the scale of moral blameworthiness, because of the situation she was in”. “The judge did what judges are supposed to do in sentencing, which is look at the unique circumstances in the case. It concerns Midson there is not the same recognition of “blameworthiness” available in the law in defences or offences. Provided she is treated properly, Justice Heath said society “will not be at further risk” from the mother. Following her guilty pleas in February, an updated psychiatric report shows she has demonstrated “an acceptance of [her] condition and a commitment to improving it”. Her children – if they ever find out what happened that evening – “will be able to fulfil their development knowing that their mother was very ill when these events occurred”. * 0800 WHATSUP children’s helpline – phone 0800 9428 787 between 1pm and 10pm on weekdays and from 3pm to 10pm on weekends. Online chat is available from 7pm to 10pm every day at http://www.whatsup.co.nz. * Alcohol Drug Helpline (open 24/7) – 0800 787 797. You can also text 8691 for free. * For further information, contact the Mental Health Foundation’s free Resource and Information Service (09 623 4812). I saw this report yesterday and thought it deserved a new thread but I was too busy to organise. My thoughts are that I hope a father would also receive a sensible and compassionate decision. Clearly the mother deliberately, and over time, planned a murder of her three children and then suicide for herself. In the process she has second thoughts, takes a different course of action and seeks help. The great news is that four people remain alive. A family, including father, continue to enjoy three children. Those three children continue to benefit from their wider family, their father and thanks to Justice Heath a mother who is hopefully healthier, getting support, and remains in the children’s lives. I find Justice Heath’s sentence enlightened in that it keeps mum present for the children rather than spending useless time in Arohata Prison estranged from her children and making re-integration with her family later much much more complex. The three children in this family bought me thinking of the three Bristol children who mlived in Whanganui. Alan Bristol was also worried about a change in custody and made the same choice as this mother. In Nelson Rosemary Perkins was annoyed that the Family Court had decided Father could have unsupervised contact with his children. She crushed up medication and gave it to her three daughters and then suffocated them one by one and then went to the basement and hung herself. What is significantly ironic is that Alan Bristol is viewed as a villian, the subject of a major inquiry by Ron Davison, and his crime lead to the Domestic Violence Act we have today. Then we are told that Rosemary Perkins is “an extremely tragic event and there was no way of predicting her actions”. Hopefully this New Plymouth case offers hope that interventions, second chances, and community support can help our children, all our children! Allan @ 18: Your positive hopes may have wisdom but surely nobody is naive enough to believe that compassionate treatment of female offenders might be extended to males? The evidence simply shows it’s extremely unlikely. Amy Adams’ proposed changes to family violence legislation promise to widen the gender gap. 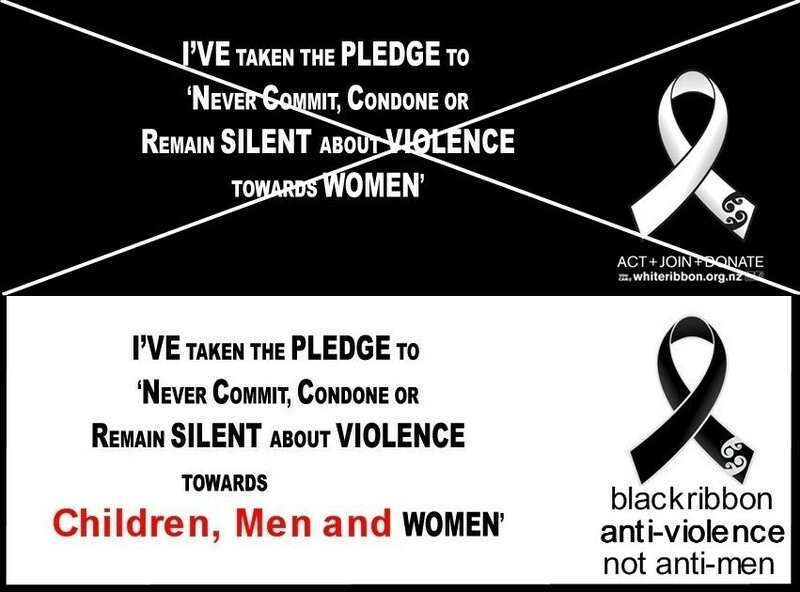 The feminists are in control of the debate and as we speak continue to lobby to make it less illegal for women to kill men and to introduce whole new categories of offending such as ‘coercive control’ and ‘choking attempts’ designed to target men under the assumption that the Duluth patriarchal power and control model is responsible for partner violence. Decades ago Warren Farrell pointed out that females charged with offending are much more likely than males to be referred for psychiatric or psychological assessment in an effort to explain and excuse female misbehaviour. The idea that the sugar-and-spice-and-all-things-nice gender could be capable of badness is just too difficult to believe. The current (name suppressed!) case is simply a continuation of this sexism and there’s absolutely no indication this is likely to change. Although clearly this woman clearly was unable to use the insanity defence the judge operated a kind of de facto version of this. Don’t imagine men will be shown the same courtesy any time soon except perhaps for rare aberrant instances (which are generally followed by vociferous objection by feminists and white knights including the ‘Sensible Sentencing Trust’ which is conspicuously silent when it comes to light treatment of females). 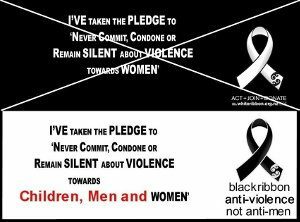 Compassion towards men won’t be forthcoming until we achieve a sea change in attitudes and beliefs about men and gender. Our writing, lobbying and efforts are the only way that’s going to happen and there has been little impact on policy or practice so far; quite the reverse unfortunately. Hi all. Thank you for all your input. One of the powerful things about precedents and the Court system is that precedent are migthly powerful when considered deeply by Judges during Courts of Appeal. The divorce side of this kidnapping saga ended up moving from the Supreme Court to the Court of Appeals. The father called but he has not been charged and convicted with attempted manslaughter. Would be great to catch up if you are still on here i’m at keithbnz@gmail.com. I’m fighting for custody with my Japanese ex-wife and having similar issues. Did you get a resolution? We are still at interim stage. Also have Hague convention issues to prepare for as she is trying to (in her words) “discredit me and legitimately remove the children from New Zealand”.